Located just twenty minutes north of Baltimore City, Cockeysville is a quiet and diverse suburb with a wide array of housing choices. More than 30,000 people work in the area that encompasses Cockeysville and neighboring Hunt Valley, but this Northern Baltimore County community is not only a great place to work, it is a wonderful and convenient place to call home. Residences in Cockeysville range from spacious low rise condominiums, traditional brick townhouses, and quaint cottages, to sprawling estates with private driveways and several acres of land. More than a century ago, Cockeysville developed as part of a pig iron mining community. Although traces of the old buildings can still be seen in the surrounding areas, the Cockeysville of today bears little resemblance to its early state. Bordered by the upscale suburban communities of Hunt Valley, Jacksonville, and Timonium, Cockeysville serves as a main destination for many North County residents. Its numerous shopping centers, big box stores, movie theaters, and affordable restaurants make it popular with locals who do not want to stray far from home. Considerably more affordable than its neighboring towns, Cockeysville is a popular choice for first time buyers looking to purchase a single family home or townhouse. During the past decade, Cockeysville has become much more accessible to other parts of the Baltimore Metro area with the opening of the Light Rail train system. Running approximately every 30 minutes, with its northernmost stops in Cockeysville, the Light Rail spans southbound through Baltimore City and all the way to the Baltimore Washington International Airport. Although the drive to the city on I-83 is only about 20 minutes, more and more commuters are choosing this easy, affordable, and ecologically friendly mode of public transportation. 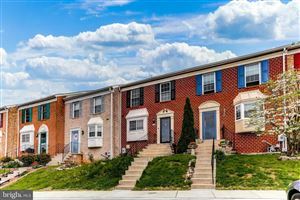 With its well situated location, affordable properties, and multicultural population, Cockeysville is a progressive town in the largely rural Northern Baltimore County. Close to the city, but far enough away to still have a country sensibility, Cockeysville is a great suburban location for people looking to purchase their first home in the North County.